Fangirls, I’ve got to be honest with you. I did not want to give this book a second glance. We came across it at Baltimore Comic Con and I was not super into the art style. But next to the table a small crowd was gathering, and the divider had been moved because there was a sweet little dog just hanging out, getting pets. 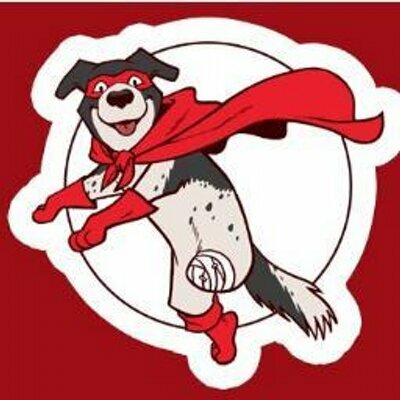 So I stopped and asked if I could join in with the love for the pup, and his owner said I could, and started to tell me about the comic at the table. The comic is Piggy’s Tale, and it’s a four issue series. It’s about the secret super hero life that Piggy (named and designed after the pup at the table) leads. Piggy was found hairless and homeless after he was hit by a car. A special animal hospital did what they could, which ended up being amputating Piggy’s leg. 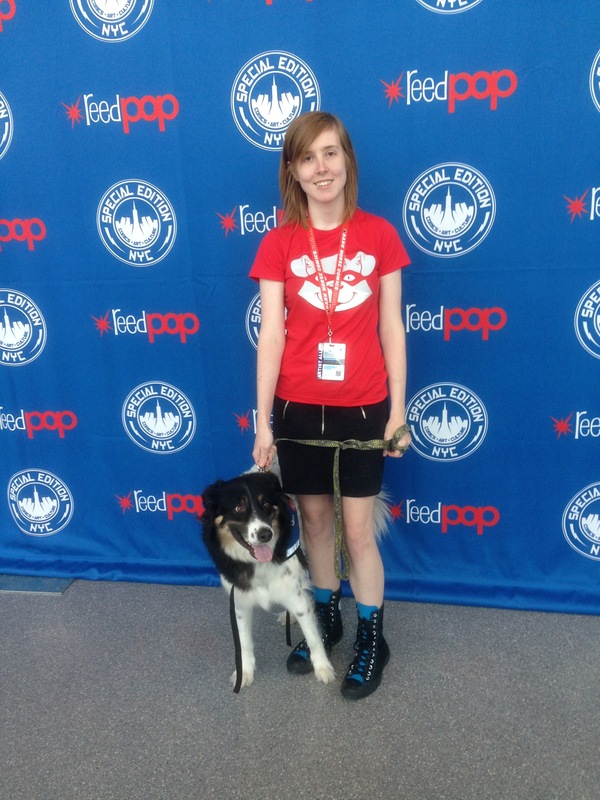 Now, Piggy promotes his book at conventions, and shows off just how phenomenal a pup with a disability can be. 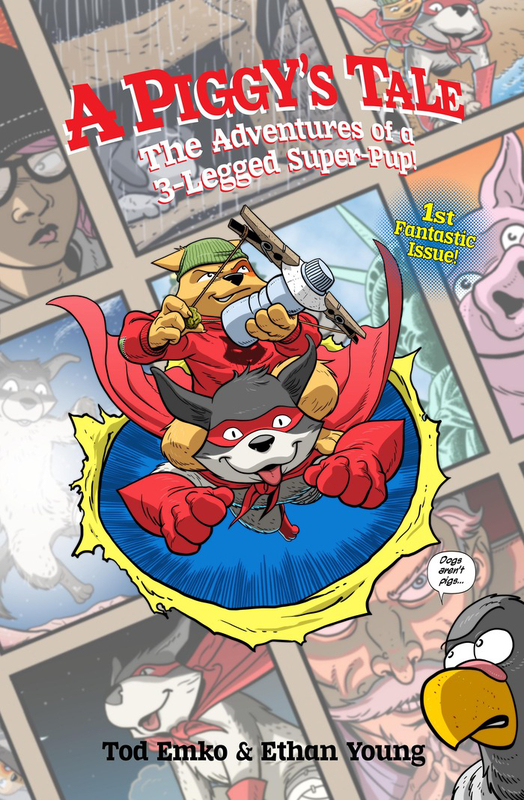 The comic focuses on Piggy, Simon (his alley cat sidekick), and their human friend Melanie (who can understand animals and has a prosthetic leg). Piggy has powers of flight and empathy, so he can sense animals in need, fly to them, and help in any way possible. He even helps humans who need small reminders to not give up hope. In the comic, an evil scientist, Dr Huntington, wants to steal powers and life force from animals like Piggy and humans like Melanie. They have extra wit (Simon too, of course), and powerful abilities. So he is trying to steal those things that make them special, and use them for his own nefarious deeds. No thank you. I can’t go any further into detail, but I implore you to check out Piggy’s Tale. It’s a fun (and heart wrenching, I totally cried) story. I will be gladly haring this with all of the dog lovers in my life, because Piggy really is something special. Plus, proceeds from his book go to the animal hospital outreach program that his owners participate in. Heck yeah, comics and animals!